TSKgel Protein C4-300 columns are designed for the optimal recovery and resolution of proteins such as recombinant proteins, antibody fragments or PEGylated proteins. Its pore size of 30 nm (300 Å) is ideal for the separation of proteins. 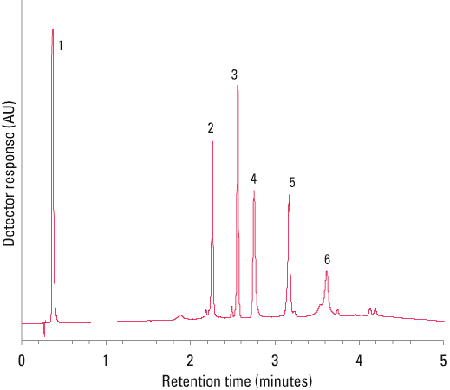 A particle size of 3 μm and optimized ligand density and alkyl length result in better protein and peptide resolution compared to other leading RP-C4 HPLC phases. The C4 short alkyl chain ligand and its controlled bonding density provide moderate hydrophobicity to the stationary phase, which results in protein separations with high recovery and less peak tailing.